Rig up your Canon EOS R with this Formfitting Cage from SmallRig. 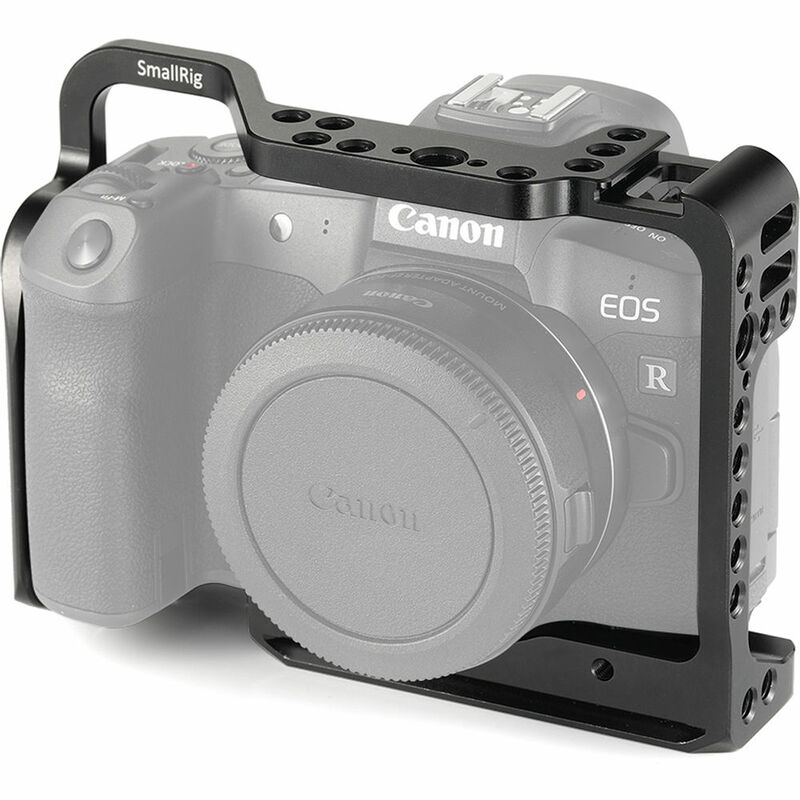 With its full-frame design, this cage protects your Canon EOS R while providing numerous 1/4"-20, 3/8"-16, and ARRI-locating holes for mounting accessories. Additionally, the cage is equipped with a cold shoe mount with integrated anti-off mechanism and an Arca-Swiss quick release plate that attaches to your camera's tripod socket via a 1/4"-20 screw. The cage allows free access to your camera's ports and buttons, and uses an anti-twist system and a rubber cushion to prevent camera wiggle. Customize your setup with your choice of separately available accessories such as top/side handles, magic arms, cable clamps, LWS systems, Arca-Swiss bases, and more.